2017 event dates and ticket on-sale information for the World's Loudest Month festival series have been announced. 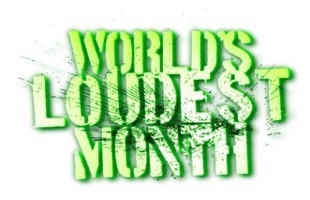 The World's Loudest Month—created by AEG Live and Danny Wimmer Presents—continues to break records with its U.S. festival series featuring the biggest names in rock music performing in eight distinct U.S. concert atmospheres during six consecutive weekends in April, May and June of 2017. Monster Energy Welcome To Rockville is Florida's biggest rock experience, with over 50,000 in attendance at last year's SOLD OUT event at Jacksonville's scenic Metropolitan Park along the St. Johns River. The 2017 Monster Energy Welcome To Rockville festival will take place on April 29-30 and will feature performances from today's top artists, and a variety of unique activations and secondary entertainment options including Jack Daniel's Whiskey Row, The Music Experience, and artist signings, along with art installations, incredible food offerings, wine tastings, and other onsite experiences. The full Monster Energy Welcome To Rockville festival experience will be announced Monday, December 5 at Noon EST. Specially priced tickets as well hotel and VIP packages will be available on Tuesday, December 6. Fans are encouraged to buy early and save. Monster Energy Fort Rock returns for two days in 2017 at JetBlue Park for its fifth year anniversary after selling out last year's event. South Florida's biggest rock n' roll getaway will take place on April 29-30. Monster Energy Fort Rock's lineup will be announced Monday, December 5 at Noon EST. Specially priced tickets as well as VIP packages will be available on Tuesday, December 6. Hotels will be available via the Curadora link found on the Monster Energy Fort Rock website. Fans are encouraged to buy early and save. Monster Energy Carolina Rebellion had another record-breaking year in 2016 after growing to three full days. Over 90,000 fans attended Monster Energy Carolina Rebellion, checking out the best of today's rock—along with legendary classic artists—playing on four stages, a world-class BBQ village, and top notch camping facilities. Rock On The Range—the largest and most-acclaimed rock festival in the United States—continues to break records. Die-hard fans (known as "Rangers") annually travel from all 50 states and around the globe to Columbus, OH for Rock On The Range, resulting in consecutive sellouts for the last four years. With three days of music on three stages, a comedy tent, new art installations, and many onsite activities, Rock On The Range sets the standard for American rock festivals. Rock On The Range truly is "Where Rock Lives." Rocklahoma, presented by Bud Light, had its biggest year ever with over 70,000 fans attending the 10th Anniversary last May. America's Biggest Memorial Day Weekend Party features the best current rock artists and classic bands at "Catch the Fever" Festival Grounds, just outside Tulsa, OK. The three-day camping festival features music on three stages, as well as a campground stage to keep the music going all night long! With onsite camping amenities and unparalleled VIP packages, Rocklahoma lives up to its motto of "Life, Liberty & the Pursuit of Rock." Rockfest—a Kansas City tradition—had 50,000 in attendance in 2016 for America's largest one-day music festival. 2017 marks the 25th year of Rockfest, known as THE rock & roll event of the Midwest, with three stages and 12 hours of hard-hitting music. AEG Live is one of the largest live music companies in the world. The company is dedicated to all aspects of live contemporary music performances, including producing and promoting global and regional concert tours, music events and world-renowned festivals. AEG Live operates in North America, Europe and Asia through 16 regional offices that support its tours which include such artists as Taylor Swift, Paul McCartney, The Rolling Stones, Justin Bieber, Katy Perry and Kenny Chesney; produces or supports over 25 music festivals, including the iconic Coachella Valley Music & Arts Festival; and owns, manages or books more than 60 clubs and theaters. AEG Live presents more than 8,000 shows annually worldwide and conducts business under such globally renowned brands as AEG Live, Goldenvoice, Concerts West, Messina Touring Group, Marshall Arts LTD, and Madison House Presents. Since 1993, music industry veteran Danny Wimmer has been producing concerts and festivals, both large and small. In 2011, he formed Danny Wimmer Presents, which now produces several of the largest rock and alternative festivals in the U.S. By combining A-list talent with local cuisine and culture, DWP has become recognized within the industry for delivering the highest-quality entertainment experiences to fans, artists, sponsors, partners and host cities. DWP creates memorable and all-encompassing festival experiences, leaving both consumers and partners with lasting and meaningful impressions. DWP will continue to add new music festivals to its already stellar portfolio, which includes Rock On The Range, Monster Energy Aftershock Festival, Monster Energy Welcome To Rockville, Monster Energy Carolina Rebellion, Louder Than Life, and Monster Energy Rock Allegiance, and Chicago Open Air, among others.